Home Celeb Gossip Money Splits Radio And Weasel Management Far Apart! 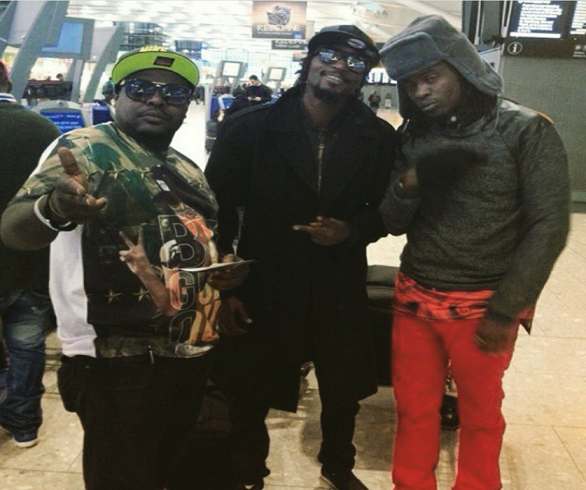 Money Splits Radio And Weasel Management Far Apart! Few weeks after the death of Goodlife musician Mowzey Radio, just like any business, the Goodlife camp has already started splitting into pieces over money! Latest news coming in is that newly appointed manager Emma Carlos had quit Goodlife because of Mowzey Radio’s death. “When I met Chagga I told him am quitting because the kitchen is now small for our stomachs both of which are big” Emma Carlos told our reporter referring to his exodus from the camp. He added that he would be revealing his next artiste in a week’s time as for now he is enrolling for a Diploma in human resource. However, on speaking to Chagga, the crew’s top most manager, he said Emma Carlos had been fired and it was later discovered that he had embezzled some funds! Earlier on it was heard from Radio’s family saying much or Radio’s property including condolences, his rides and sogs among others had disappeared into thin air. Previous articlePinoxy Star Raystar Wenda Outs Lyrically Rich Song “Underrated”.